Dipping Oil is used to convert fresh fruits into dry fruit.On converting into Dry Fruits, it provides better opportunity for grower, as it can be stored for longer period and grower can wait for better price in market to sell his produce. This technique is used in many fruits such as Grapes are converted into dry raisins. 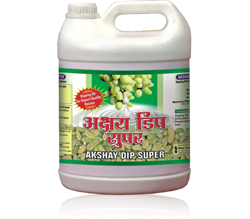 This process is achieved by reduction of maximum moisture from fruit in minimum possible time. Our dipping oil comes is made out of highest quality oleic acid, also in order to extend the shelf life we have added preservatives and anti oxidants. Cold dip Technology for drying red chilies is a new technology has been developed. Sun drying chilies is important phenomena. During early drying period of Dec-Feb, it takes more than 20-25 days for proper drying. Druing this long period chilies get spoiled due to fungal and bacterial infestation. This is time when market prices are higher. It is most important to reduce moisture in shortest possible time. More than 80% moisture is present in fresh fruits is mainly responsible for bacterial and fungal growth on fruits. They decay the cell wall and rooting takes place and ultimately, fruits get spoiled.